Novigenix is an innovative Swiss molecular diagnostics company specializing in new generation blood tests for early detection of cancer. Colox®, our lead product is a proven molecular blood test designed to significantly reduce mortality from colorectal cancer through early detection and follow-up colonoscopy. Novigenix’s technology is based on a new generation of predictive gene expression profiles of circulating blood cells and concentration profile of tumor-derived protein markers in combination with state-of-the-art mathematical analytical models. Our predictive molecular signatures of biomarkers provide new and accurate solutions for the early detection of cancer. It accurately and reliably detects both adenomatous polyps and early stages of colorectal cancer. It offers a convenient solution for patients to be tested with no need for bowel or stool preparation. It can be ordered by the physician as part of a routine medical check-up. 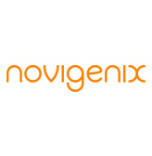 Visit Novigenix website for more information on the product.